Loosely affiliated to 24-7 Prayer UK, in 2015, Chelmsford 24-7 Prayer was started as initiative to bring together, ‘As One’, the Christians of our City through prayer. Unity, or ‘being as one’, true love for each other, only truly comes through knowing Jesus Christ as Lord and Saviour. Together, we seek to purposefully pray that the Good News of Jesus will be taken out into our communities, causing transformation, blessing and revival over our City and District and to the lives of all who live, work or visit here. 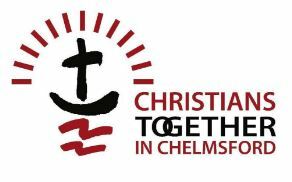 We have seen ourselves as ‘Catalyst’, seeking to work in ever greater partnership with local Churches and Christian organisations and in particular have worked increasingly closely with City-wide organisation, Christians Together in Chelmsford (CTiC). Our primary motivation is to work to see the people of our City come into a radical life-changing relationship and to become disciples of Jesus Christ. Where did the vision come from? 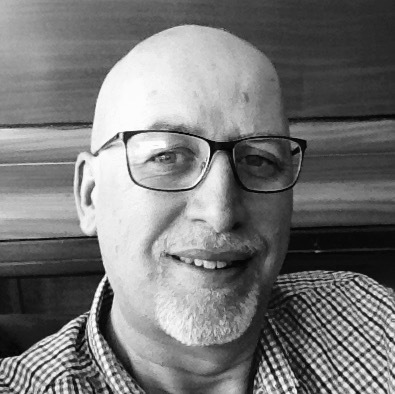 David Gilbey has lived in Chelmsford all his life, and since 1980, been a committed Christian. In 2011, he ‘retired’ after 30 years service with Essex Police. For several years before this, he believed that God had something significant for him to be involved with, in his City. August 2014 David attended a Christian summer camp where he clearly heard God call him to start a city-wide Christian prayer movement in Chelmsford. With the blessing and subsequent commissioning of his own Church, he immediately left his employment with a local social housing provider to pursue this vision. Early in 2015, a Steering Group and a supporting prayer team was formed with Christians from around Chelmsford. March 2015, Chelmsford 24-7 was launched with a City and District wide Week of 24-7 Prayer. An estimated 300 people, from over 40 local churches, local Christian groups and organisations signed up online to pray in 1 hour time slots. All 168 hours of the week were filled. Looking beyond, David then heard God speak about creating ‘portable Prayer Spaces’, where resources were transported and set up at different churches, to guide prayers, for a few hours at a time on various days. Prayer Walking has made us a visible presence in our City Centre and Communities, seeking to bless and pray for the The Kingdom of God to come to our streets. Our Prayer Tent, has also been taken to community events during the Spring and summer months. Chelmsford 24-7 Prayer has also initiated and been involved with other prayer and outreach initiatives around Chelmsford. Details can be found here.